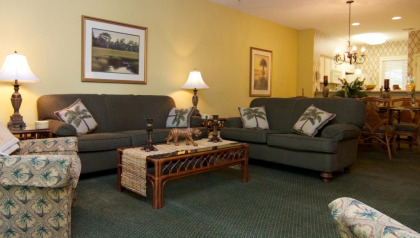 If you enjoy golfing on sun-warmed, well-maintained golf courses, then you will love vacationing at Coral Resorts Island Links timeshare in Hilton Head Island, South Carolina. Known as a haven for golfers, this beachside community is where you go to relax, unwind, walk on the beach, nap by the pool, and play perhaps the best golf of your life. Hilton Head Island offers more than twelve miles of some of the most pristine beaches you’ll find anywhere on the Atlantic Coast. Yet this popular resort destination is equally well known for its world-class tennis facilities and championship golf courses. When you buy Island Links Resort timeshare at Coral Resorts, you’ll have wonderful opportunities to enjoy tennis, golf, and the beautiful beaches! 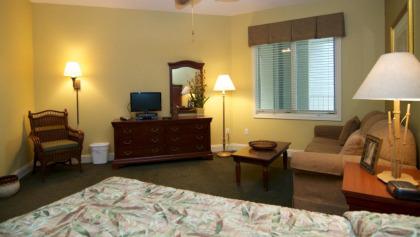 Featuring both 2-bedroom and 3-bedroom floor plans, the Island Links Resort condos, are spacious getaways, that include two private bathrooms, in-unit washers and dryers, a full kitchen, plenty of dining space, living area, and flat screen televisions in the bedrooms and the living areas. In some units, the third bedroom is separated from the master by French doors, making it possible to either combine or close off the space to best suit your family’s needs. Near the beach (but not ocean side), your view may be overlooking the pool, a lagoon-like pond, or the adjacent golf course. 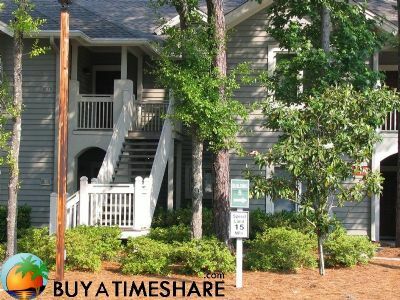 Most Island Links Resort timeshare units include a balcony or a patio. Although the beach is amazing, sometimes, you just want to dive in (or relax by) a sparkling swimming pool. 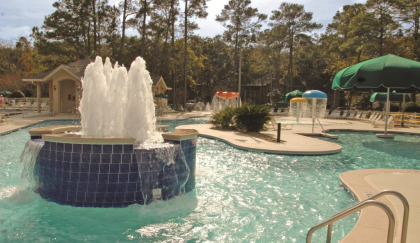 Island Links by Coral Resorts offers a zero entry pool with waterfalls, a children’s splash pond, a hot tub, and a heated pool. 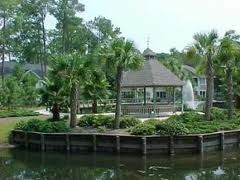 Located in the Port Royal Plantation (a Hilton Head Island residential and resort planned community), the Island Links Resort feels delightfully private and secure behind the neighborhood’s gates. Within the community, you’ll find three exceptional golf courses; the 18-hole, par 72, Barony Club; the 18-hole, par 72 Planter’s Row Course; and the Pete Dye designed, 18-hole, par 72, Robber's Row. Among these three excellent golf courses, Planter’s Row is said by many to be the toughest with its narrow, tree-lined fairways, and small, undulating greens. Robber’s Row, carved out amongst the magnolias and live oaks, is considered to be the most scenic of the three courses, but don’t let it’s pretty face fool you. Water hazards and bunkered holes will challenge you, and the par three’s on Robber’s Row can be especially tough. Barony Club is perhaps the most famous of these three outstanding courses. With small greens, thick roughs, and some unforgiving bunkers, golfers will want to bring their “A” for accuracy game when they tackle this course. And here’s the best news of all. As a timeshare owner (or a timeshare renter) at Coral Resorts Island Links Resort, you have the option to enjoy one tee-time per unit (based upon availability) for up to four players every day of your vacation, at any of these three resort courses. On Hilton Head Island and in nearby Bluffton, and Beaufort, you’ll find dozens more public courses. 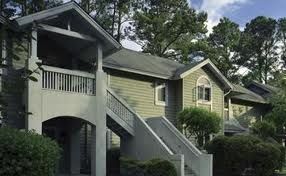 Golf Digest magazine ranks the Hilton Head Island area in seven of the eight top 10 Categories for Golf Destinations. Nestled among the shade and flowering plants of Port Royal Plantation, Island Links by Coral Resorts is networked with beautiful paths for walking or biking. For families that love beach and golf vacations, the decision to become an Island Links Resort timeshare resale owner is easy. 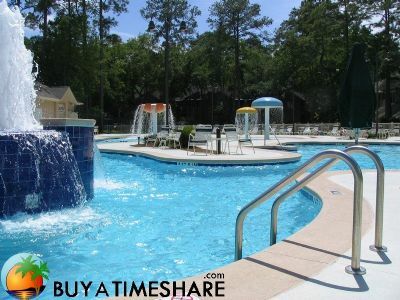 Shop the inventory of Coral Resorts timeshares at BuyaTimeshare.com. Pick the one that’s right for you. Then start planning for leisurely vacations where your toughest decision will be whether you want a tee time on an incredible golf course or iced tea time in a lounge chair by the pool. Contact Island Links Resort Specialist Today! 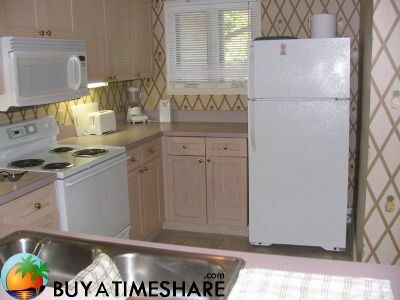 We purchased this unit in 2005 at a cost of $19,900.00. The reason we are selling at this price is because we are now too old to travel. 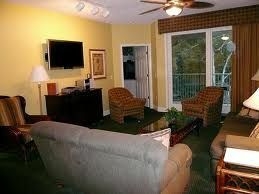 This unit is spacious and has all of the amenities you would expect at a fine resort. This Island is a golfer's paradise, however, that's not all. There are beaches, outlets nearby, fine restaurants, etc. The activities here are too numerous to mention - there is something here for everyone. Also, historic Savannah is only a 45 minute drive. This was one of our favorite vacation spots. 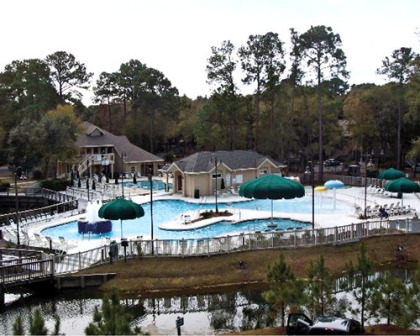 Maintenance fees paid for 2 full years to new owner!